Barry Windsor-Smith was one of the first mainstream comic artists to bring a fine art sensibility to his craft. Starting with his work in the early 1970’s for Marvel, his attention to detail as manifested through his ornate, retro-art deco style and innovative panel layouts announced him as a singularly expressive talent. From his work on the fledging Conan the Barbarian comic to his current book Storyteller, Windsor-Smith has sought to maintain consistently high standards, and now in his late 60’s, feels he is doing his best work ever. It’s hard to convey the impact his artistry had on the comic book world. Windsor-Smith, along with a few then-contemporary iconoclasts like Neil Adams, redefined comics in terms of what could and could not be done, laying bare the established conventions of comic book imagery as brutish, trite and fundamentally uninteresting. Some of his strongest work involves no dialog or narration, the story conveyed solely through the sequence of deeply immersive images. His re-envisioning of Conan as a figure of almost feline grace and strength challenged Frank Frazetta’s muscle-bound depictions, and his conception of Robert E. Howard’s pre-historical civilization is invested with a deep sense of narrative space and of the image rendered in its moment of narrative conception. 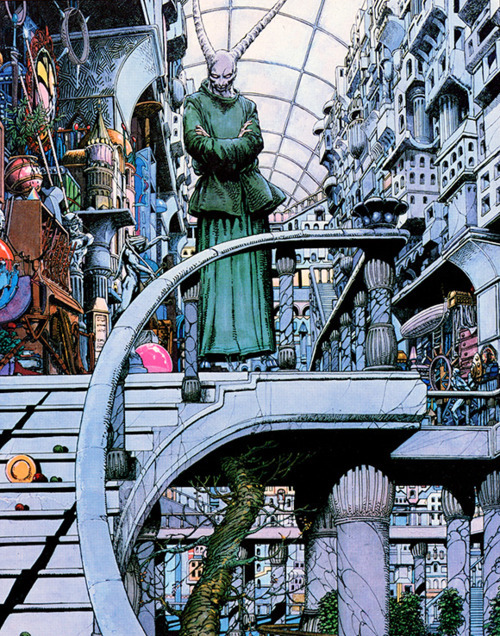 The art of Barry Windsor-Smith is in the image in motion brought to life in the light of the imagination, a phenomena unique to comics in their latent potential for narrative movement. This is where he made his home as an artist. Gary Lain is the editor of Caustic Soda. He lives in San Diego, CA. He has published fiction and non-fiction in Fiction International, Review of Contemporary Fiction, American Book Review, Brooklyn Rail, Texas Review, Belphegor, Crash Test, Journal of Experimental Fiction.